ggQC can help you generate all kinds of quality control (QC) charts and graphs. Building on ggplot’s faceting capabilities, ggQC allows you to easily make one or many control charts. In addition to QC charting, the package provides methods for violation, Pareto and capability analysis. 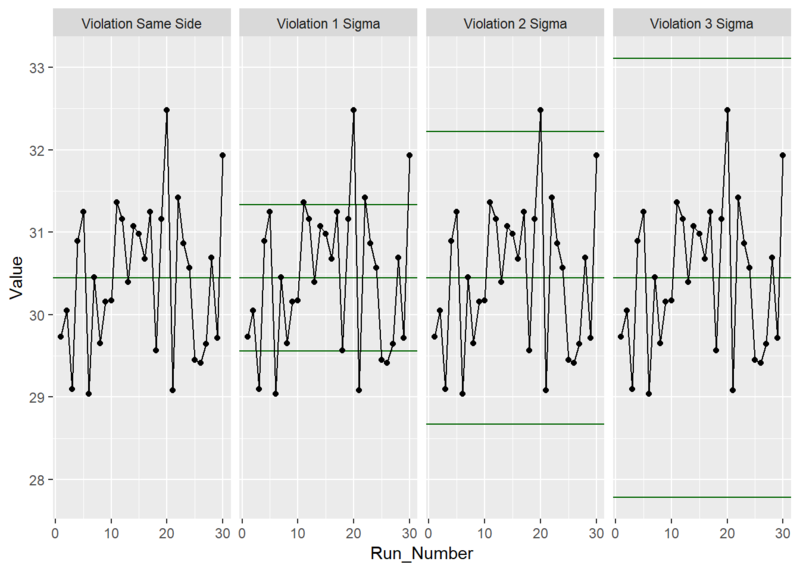 a bug associated with drawing the 1n2 sigma lines on the QC charts. a strange ggplot bug around the word color and colour. 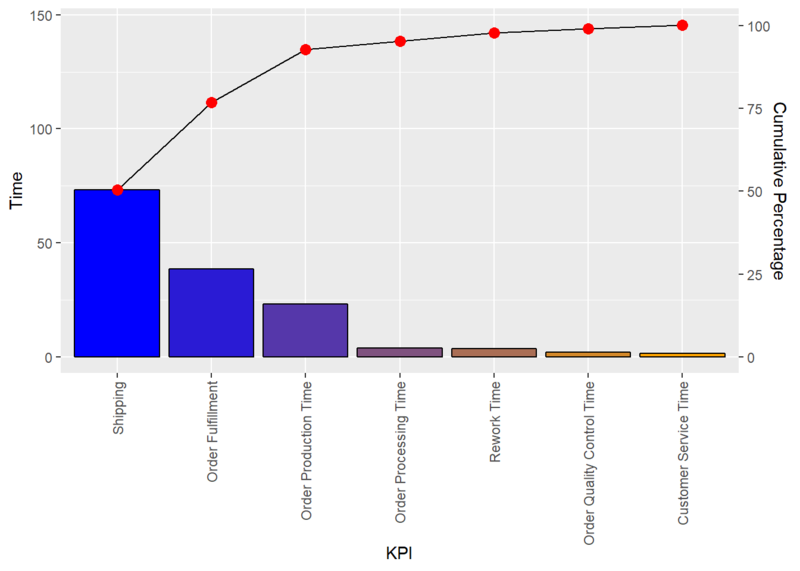 The process for building control charts is simple - especially in R-studio. 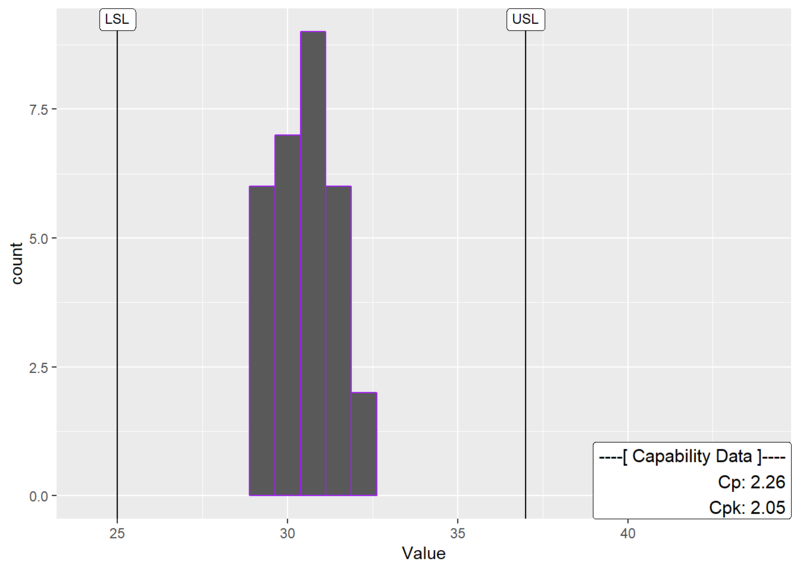 Step 2: load your long-form data into R from a csv or other suitable format. The picture below provides an example of long form data. Step 3: make your control chart. 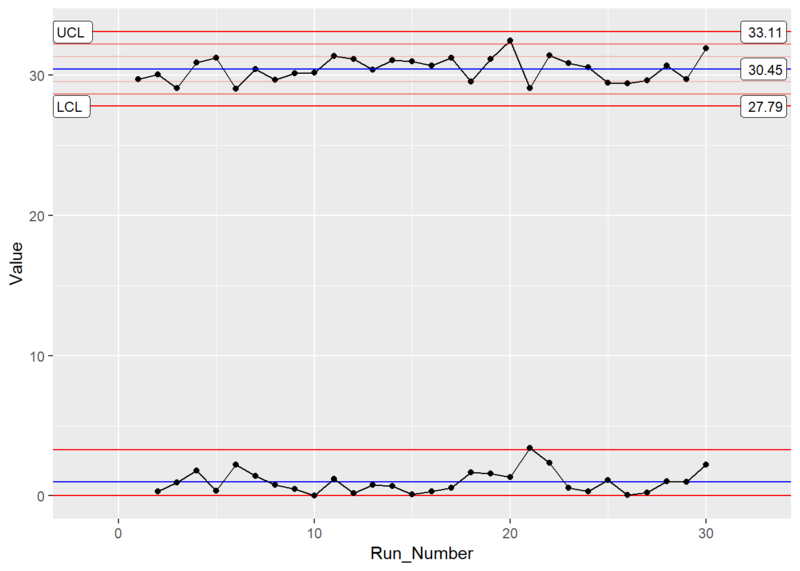 In the example below, the first 2 lines of code load the libraries you need to run ggplot and ggQC. The next few lines generate some sample data. You’ll want to replace this section with a command to load your data from csv. The last few lines generate the control chart. For more control chart examples checkout the docs, HOWTOs, and Vignettes provided on this site. None of the standard 4 Shewart violations were observed. Awesome, next we’ll look at doing a capability analysis with ggQC. Cool! Looks like the process is in good shape. To see more examples of capability analysis checkout the ggQC documentation on stat_QC_Capability. I’m working on a Vignette. In the meantime, be aware that an xBar capability chart is specified slightly different than XmR. To generate a Pareto chart for this data in R using ggQC, simply load the data, tell ggplot about your data and let stat_pareto do the rest. The plan it to release the fix to CRAN in early to mid December.